“I have never ridden in a more comfortable saddle than my County Perfection and the difference in my horses is remarkable. I started my career in County’s and after trying everything else in the world, I’m back in County’s." "I am extremely happy with my County Perfection. My Grand Prix gelding, Respekt, has always been very elastic, and therefore bouncy - this saddle has made him much easier to sit. I noticed immediately that Respekt was more free in the shoulder and supple in the back when I switched to the Perfection. I am able to sit more deeply and ride more effectively which gives him the confidence and support he needs as a first year Grand Prix horse. My only regret is that I did not try the saddle earlier in his career as I am sure it would have made both our lives easier!" 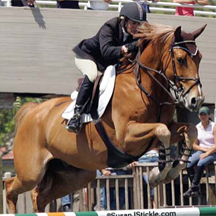 "County saddles are the most well balanced and well fit saddles I have ever ridden in. My horses truly perform better because of the customized fit provided by my County rep. 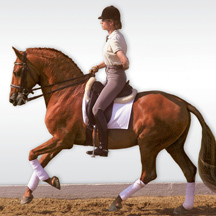 I am more effective because my leg is so still and close to my horses' sides. Not only that, but the saddles are the most comfortable too! With County saddles, there is virtually no break in time. 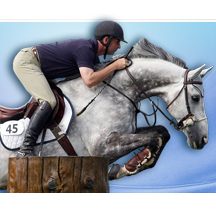 I jumped a clear round in a jumping "derby" with 26 jumps including water, a slide, devil's dike, etc. - all of this during the second time I ever rode in my County Innovation!" "My horses’ comfort is very important to me. The level of questions I ask of them at competitions and on a daily basis requires them to be feeling their best with no restrictions. 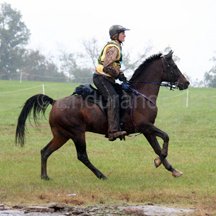 In County saddles, my horses are able to move freely and forward with no discomfort. This shows in our results, and is expressed in their attitude towards working. 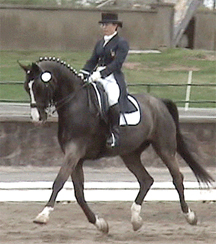 Our dressage scores have improved while riding in County saddles. 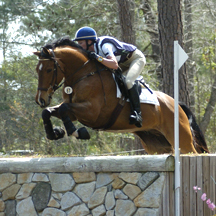 Their jumping and form over fences have progressed as well. 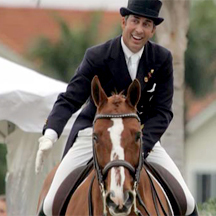 I only trust County Saddlery for my horses comfort and happiness."